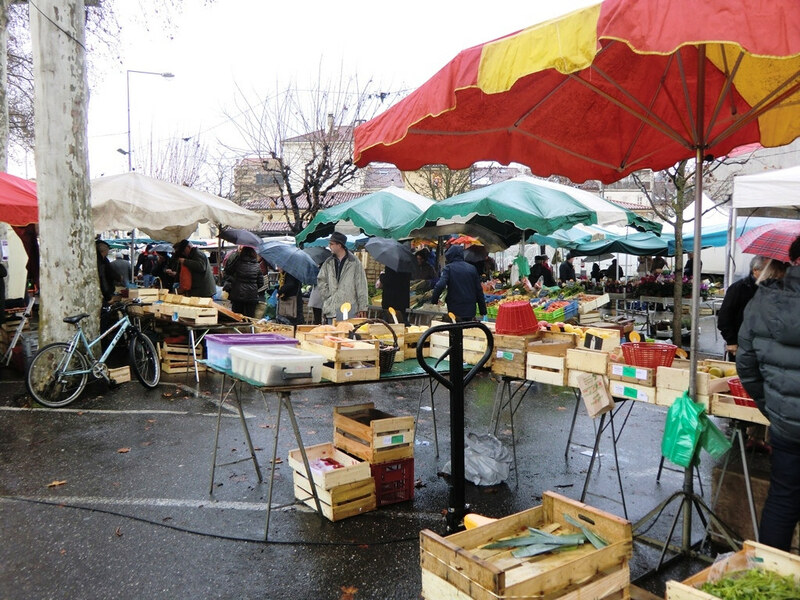 If you are interested in France, something’s telling me that you are fascinated by farmers markets. Right? After all, they go hand in hand with French cuisine, undeniably one of the best in the world. Now, there are good chances that during your trip to Paris you visited one and found it to be the epitome of French food culture heritage. 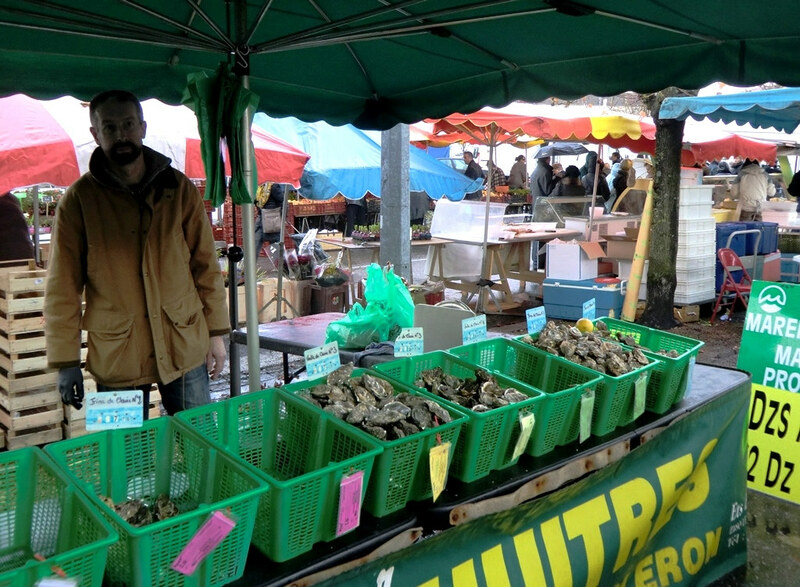 Well, if your only experience of farmers markets in France was in Paris, I have bad news for you. 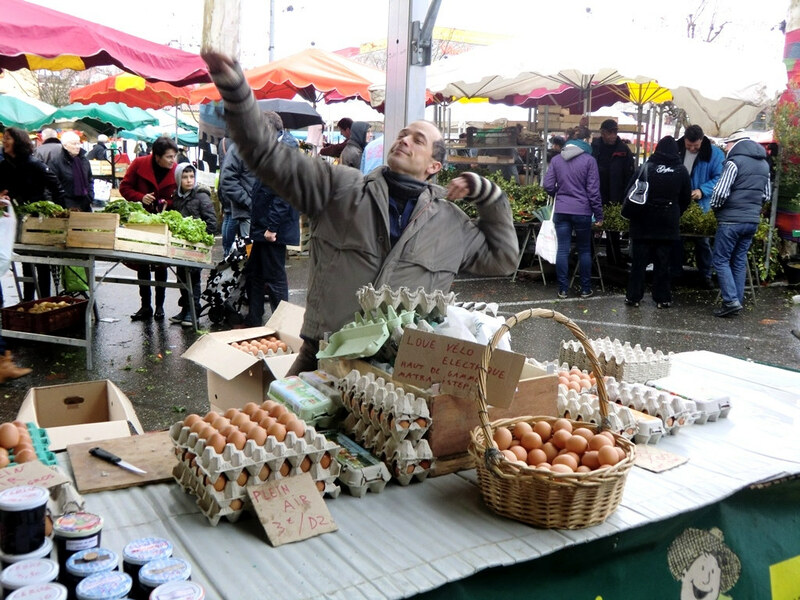 I could be wrong, but I’m afraid that there aren’t any farmers markets in Paris. 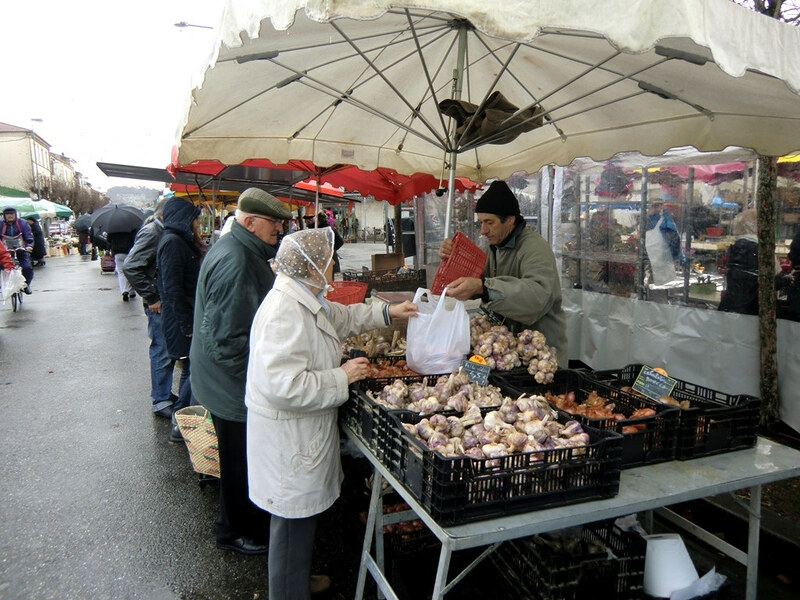 Open air markets, yes, there are quite a number of them, and they are a good way to buy fresh food for cheaper than in the grocery stores, but contrarily to what many foreigners think, those are not farmers markets. This is something I’ve noticed many times when talking with (usually non-European) foreigners about French markets; they tend to call every open air market a farmers market. However, they are not synonymous. 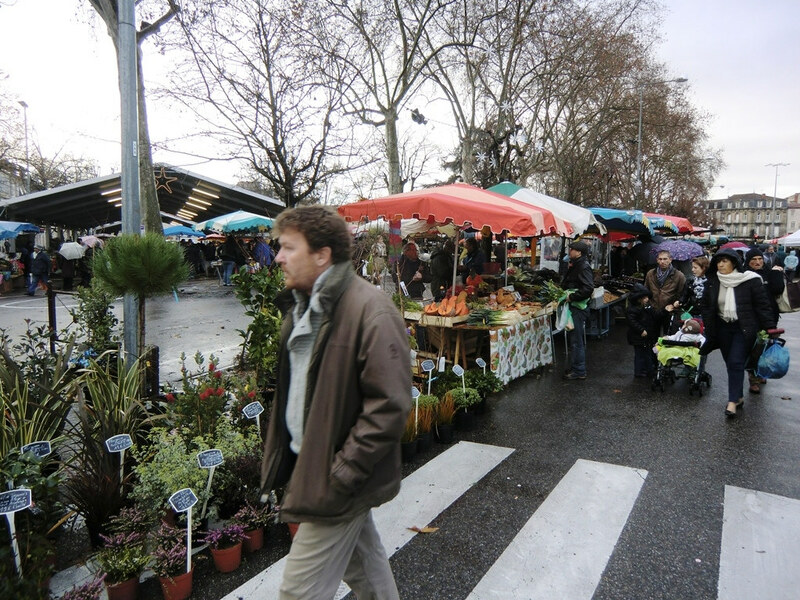 An open air market is a market where you can buy a bunch of fresh products, sometimes crafts too. They are sold by retailers, that is people who instead of owning a shop in a building sell their merchandise in markets for various reasons. Retailers don’t usually produce what they sell, just like a store doesn’t usually build what you’ll buy. 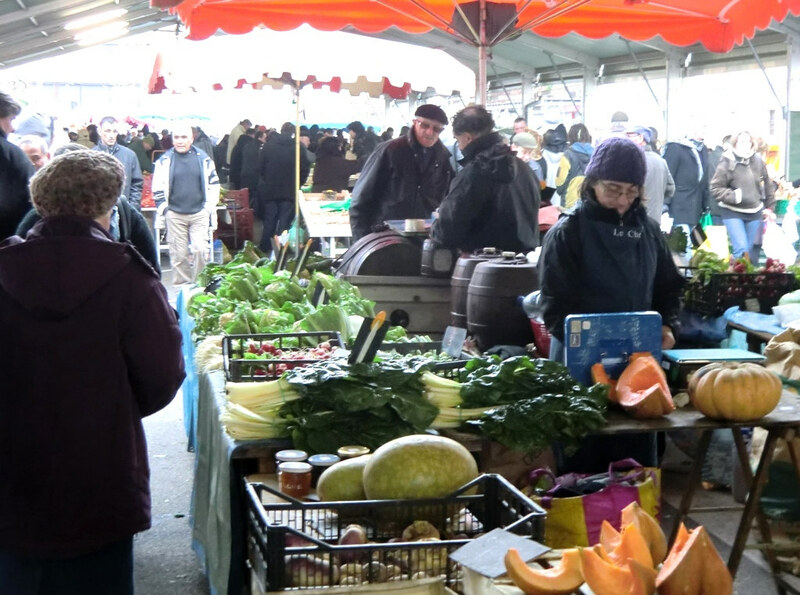 On the other hand, a farmers market is a market where local farmers directly sell themselves what they produced. 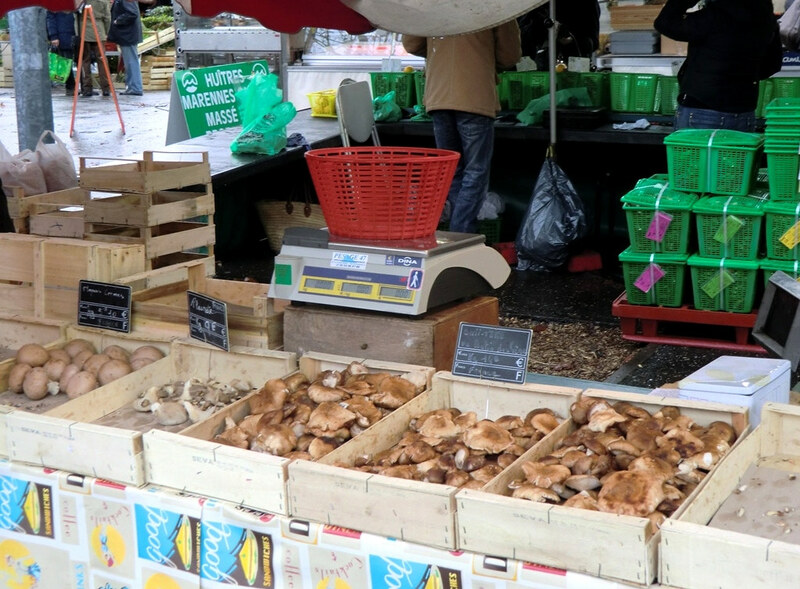 You find both of them all over France, and the line between them is sometimes blurry; farmers market where only producers can be found are somewhat rare nowadays. 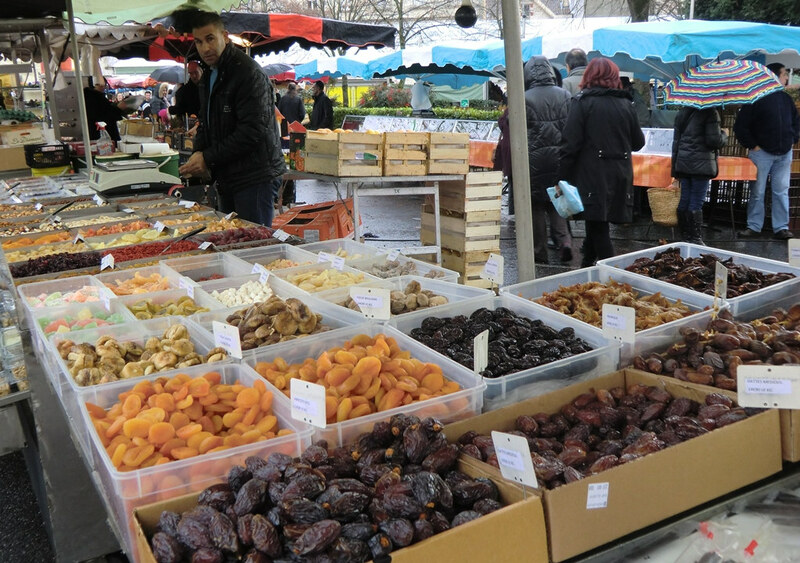 In any case, those markets, especially farmers markets are important for France and French people, not because they’re part of what makes France so picturesque (that’s the reason why they’re so interesting to tourists), not only because they’re a place where you can find food that is both cheap and healthy, but also because – especially in smaller cities and towns – they’re an important part of the social fabric of the country. 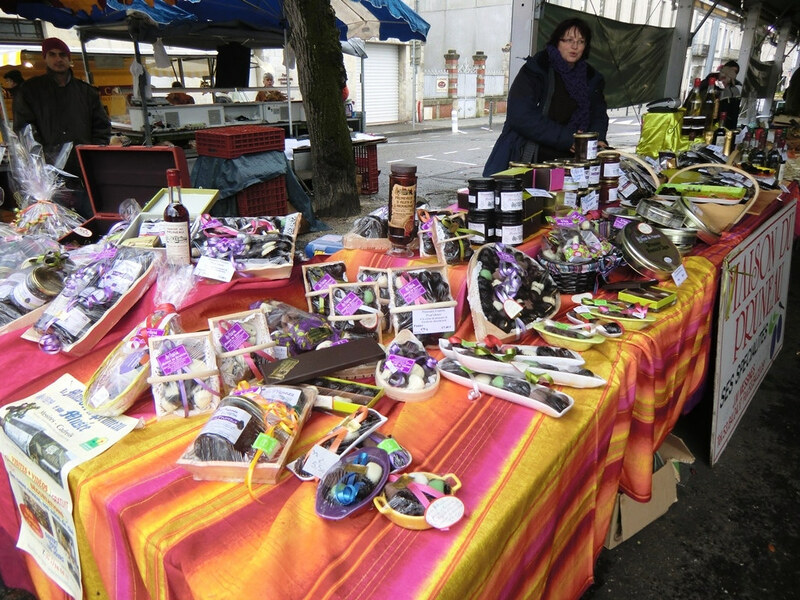 And now, after this quite lengthy introduction, here are a few pictures taken at the “Marché du Pin” the main farmers market (with a few retailers too) in my hometown, Agen. They were taken last December, when I went back home for a couple of weeks. 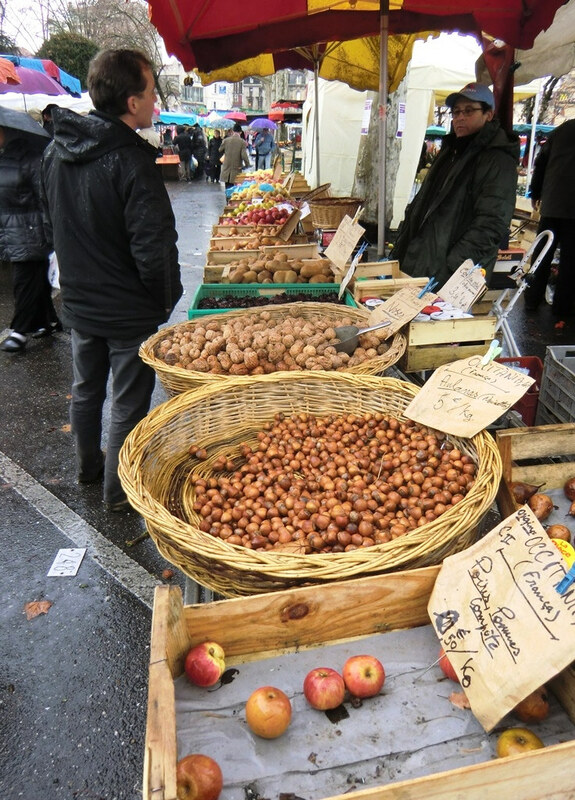 While, when I lived in France, I didn’t go to the market every Sunday (they’re usually held on Sundays, although it will vary), being able to go there last month was priceless. This market is in my opinion the soul of my hometown, I can’t imagine it coming to an end one day, and it is there, as much as in the house where I grew up, that I felt back home, back in France, reconnecting with my roots (just like pretty much every French person, most of my ancestors were farmers, in my case, my paternal grandparents were, and some of my family members still are, so I’m not talking remote ancestry and abstract roots here). Unfortunately, weather was crappy both Sundays I was in France, so the pictures are not that great (yes, they were taken over two sessions, although most of them date from December 29th – and a few from December 22nd). Guest starring: my dad. He goes every Sunday. Cheese, straight from the farm! This previous picture may gross out a few of you, but one other thing what farmers markets do is to keep you connected with the reality of food, where it comes from, what it is. Ironically, I’ve always found that the people who are the most remote from the source of food are also the ones who have the most issues with food one way or the other (be it vegetarianism, eating disorders or else). As I said, even in farmers market, not everyone is a farmer. However, I wanted to include that picture, because it shows you that France is becoming multicultural, even if many people have trouble coming to terms with that. Earlier, I was talking about this market was helping me reconnecting with my roots, but it also shows you that markets don’t solely “belong” to people whose ancestors lived in the same 50 kilometers radius. They are everyone’s markets, they are the people’s markets and this man from North African descent selling dried fruits (an important part of North African cuisine) is as much part of the social fabric of my hometown as everyone else there. Oysters! No Winter Sunday lunch is complete without a few oysters! At first, I took pictures of people and stalls without asking, almost hiding. Mostly because I felt awkward taking pictures (like a tourist) of a place that the most possibly “normal” to me. Later, I decided that asking first was a better way to do this. What I didn’t expect was that it was going to make for a fun picture too. Pruneaux d’Agen, my hometown’s specialty. 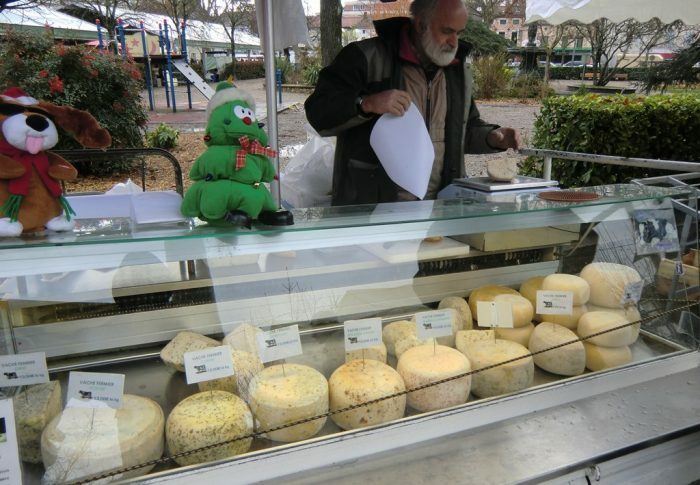 This stall was the one of the Maison du Pruneau. 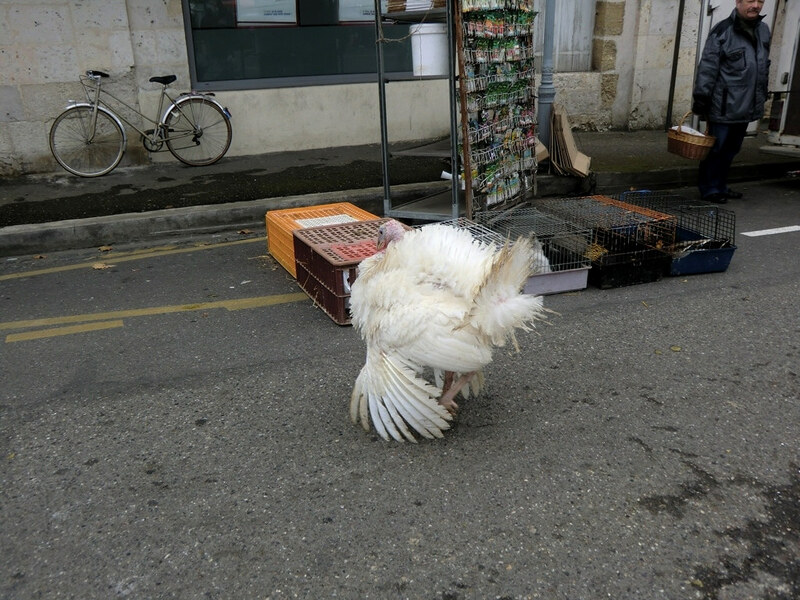 Yep, live animals are not rare in French farmers markets. I hope you liked this slice of everyday life in France, and when you’re in the country, try to find information about where and when the local farmers market is held (usually on a Sunday morning) and do not hesitate to visit it, and if you’re staying in a place where you can cook, you can even buy your future meals for the day there. Yes, I should have been more explicit. There are indeed some farmers markets in Paris from time to time, but they are specific one (or a few) time(s) a year events (I don’t know if it still exists, but there used to be an awesome one on the Seine river banks, right next to Notre-Dame, with farmers from my home area, I forgot what date though). What I mean, is that – to my knowledge – none of the regular open air markets that take place in Paris at the same spot every week or a few times a week are farmers markets. Superb information thanks David.. Agen looks superb.. Any idea what scale it is? How many stalls, 15 or 50? I have been trying for some time to find good quality information about the best genuine farmer’s markets across France. Doing Google searches tends to throw up the local commune info page with simple dates and times, useful if you are going to a town but not if you are deciding which town to visit and where and when to find the best quality in markets across a region?? I’m not sure how many stalls there are, but it’s definitely closer to 50 than 15. Well, it’s pretty much impossible to find the “best quality” market. I assume you mean quality of the produces that are sold there, and there is no way to compare accurately from one market to the other. Also, because produces sold there are straight from the fields, they constantly vary. You don’t find the same produces from one season to another, and even the same produce quality will vary depending on weather and a bunch of other factors. Well, to find genuine farmers markets, you have a few things to look up. 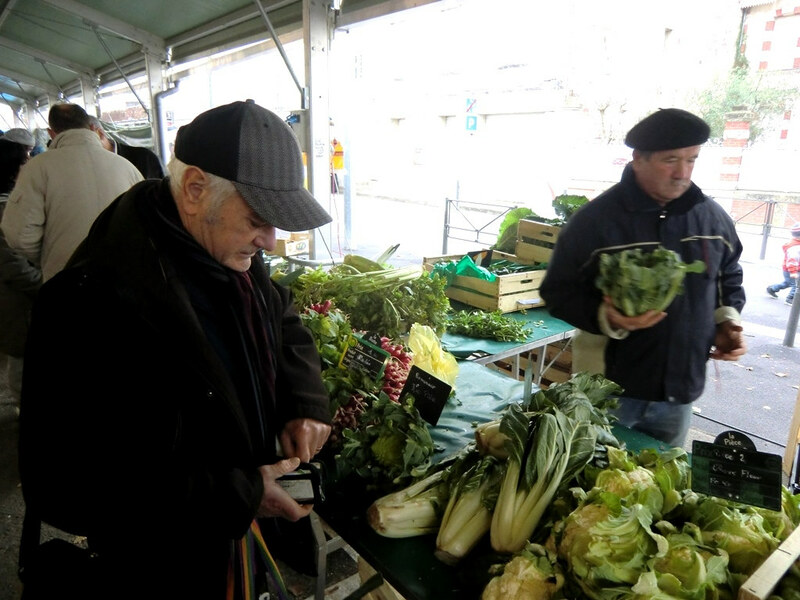 First and foremost, the name; usually the official name of the market will be “marché paysan” or “marché fermier”. Then, the other main thing is what produces are being sold. If they’re from local farmers they’re also seasonal (if you find tomatoes in winter for example, that’s a big hint that the guy is not a farmer). 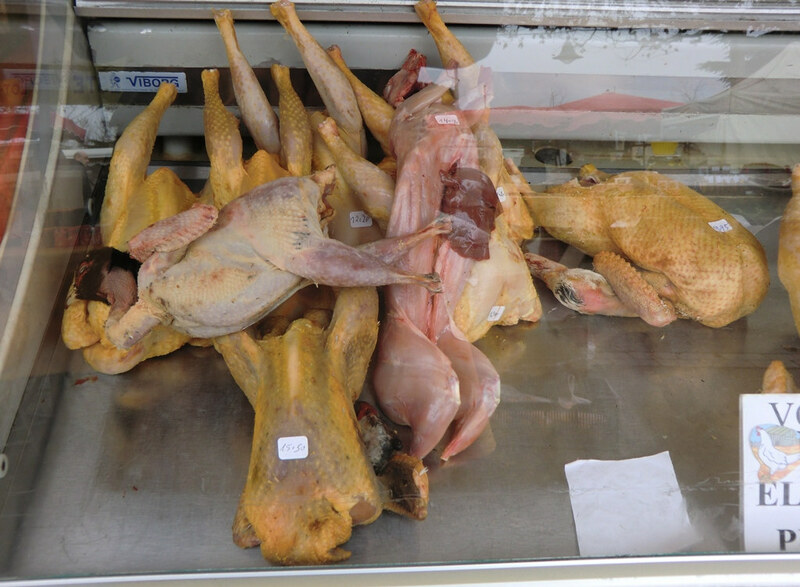 Yes, I guess this is the main thing I look at when I’m in a market I don’t know to see if it’s a farmers market selling local food. Now, with that being said, where I grew up (French South West) every market is pretty much a farmers market, I suspect even in big cities (I never paid too close attention to markets in Toulouse and Bordeaux), it’s when I was in Paris that I realized that there is such a thing as retailers in markets. 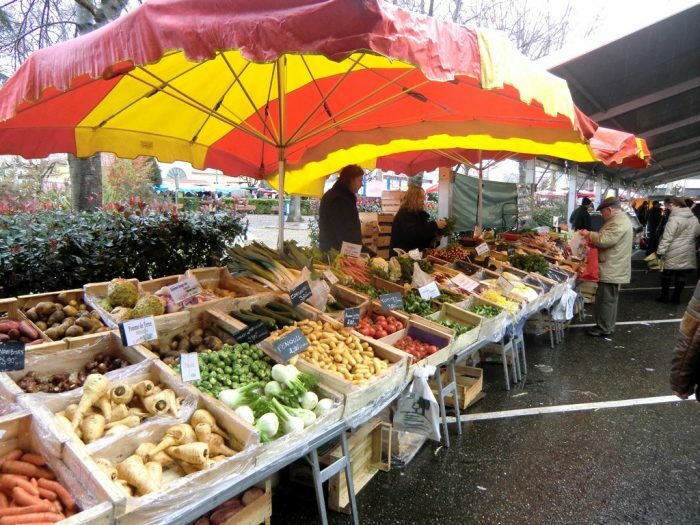 So, if you go to a market in a small town, in an area that’s pretty big on agriculture (which is a lot of areas in France far from big cities) you have good chances that it is a farmers market.